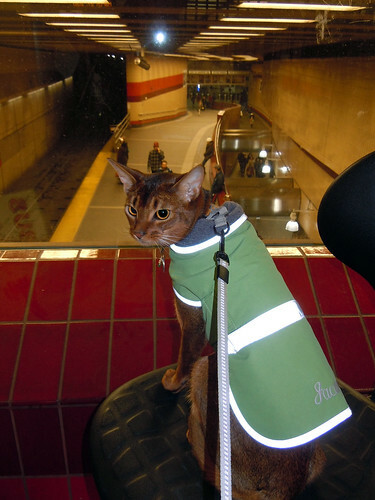 Jacoby surveys the tracks and people at Harvard Square Station. Absolutely (or perhaps aby-solutely) adorable! Was this taken with the new camera? So far, so good. I’m still figuring out all the bells and whistles, though. What an adorable photo! He looks like a handful!